Love that foal image! 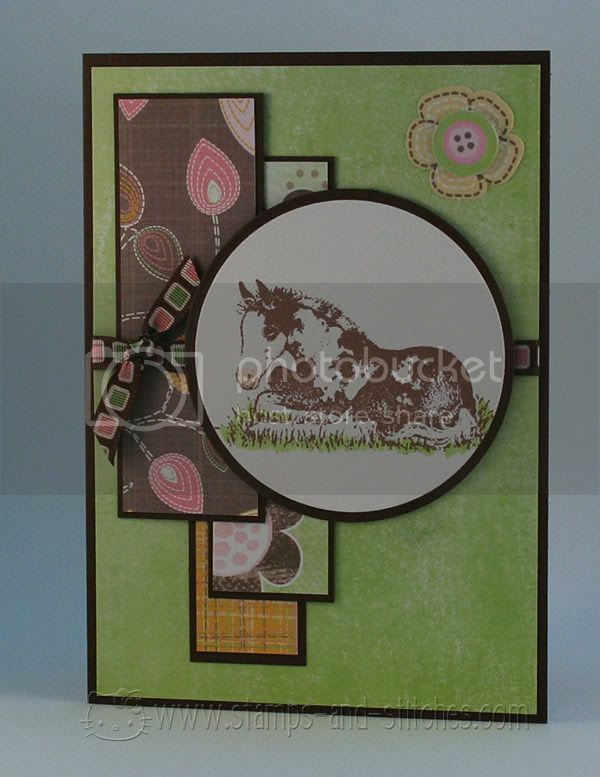 Cute card, I love the colors you used and the papers. Great job. I love the papers you used. That image is so cute too. I love this card! 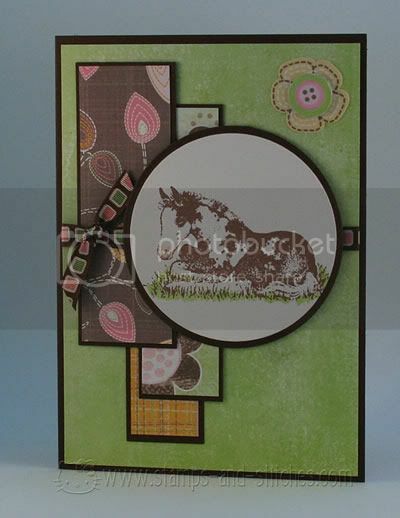 The little foal is so sweet and the soft colors compliment the design and the image. Oooh, that's pretty. And when you add a sentiment to the lower right, I think the layer you think is too high will look perfect! I love this. I agree with Naomi in when you add a sentiment in the lower right it will be more balanced. I think it looks great the way it is though! Very cute card. That little foal is adorable and I love all the dsp you used. It all goes together very well.